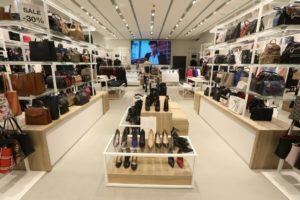 FASHION COMPANY GROUP, the biggest fashion retailer in Southeast Europe, has once more confirmed its regional leader position by opening 10 retail stores in the new shopping mall PROMENADA in Novi Sad, in only one day. Here you can find the most prestigious brands of urban fashion, among which are GUESS, REPLAY, CALVIN KLEIN JEANS, LEVI’S, SUPERDRY, STEVE MADDEN, TOMMY HILFIGER, BATA, TIMBERLAND, and DIESEL. 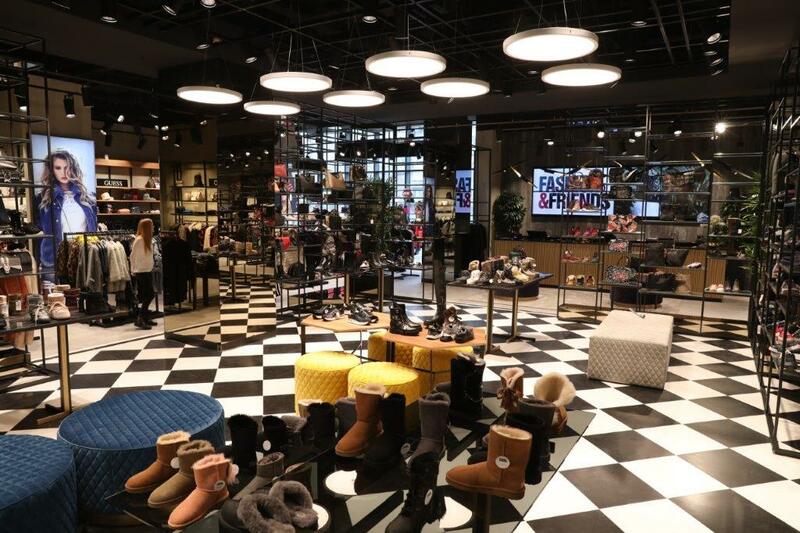 The biggest multi-brand store in the Balkans FASHION&FRIENDS is undoubtedly in the spotlight of this success story. “Novi Sad, as the second largest city in Serbia, is a market of great importance for our company and the brands we represent. Having in mind our portfolio, we are guided by the fact that premium brands deserve premium locations and the Promenade Shopping Center, certainly is one of them. Our decision to open 11 retail stores in a mall with an area of over 2,200 sqm and to invest 3.1 million euros and employ 70 people is a result of a serious market research. The increase of the purchasing power in our country is a strong factor of our future success,” said Jasenka Stekic, Chief Marketing Officer and Retail Development of Fashion Company Group. The most famous multi-brand concept store in the Balkans, FASHION & FRIENDS, opened its first premium store which covers the area of 750 sqm in the capital of Vojvodina, offering almost 30 urban world famous brands such as REPLAY, DIESEL, GUESS, SUPERDRY, LIU JO, MANILA GRACE, LEE, WRANGLER, STEVE MADDEN, CESARE PACIOTTI, DESIGUAL, CAMPER, CALVIN KLEIN UNDERWEAR, TOMMY JEANS, PREMIATA, MOU, INUIKI, UGG, and others. 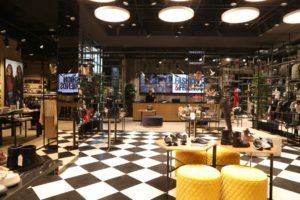 The store extends to 195 sqm, and its design reflects the global sales concept of Tommy Hilfiger, which combines the heritage of the brand with a clean, modern finish and bright, aesthetics. The interior represents a nautical lifestyle – one of the most vibrant inspirations of the famous designer. The furniture is made of stainless steel, and walnut white wood gives an impression of a high shine, while the recognizable nuances from the brand palette – red, blue and white cherish its heritage. The new store offers a wide range of male and female FW clothing items, accessories and footwear. 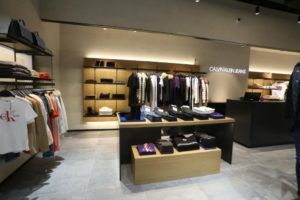 The fans of the New York-based minimalist fashion scene will be happy to hear that CALVIN KLEIN JEANS opened its store on 135 sqm, offering the most popular jeans and underwear collections. The brand that has been breaking the boundaries with its provocative design and campaigns over the last 4 decades, has offered attractive pieces that are a signature of a famous fashion visionary Raf Simons. 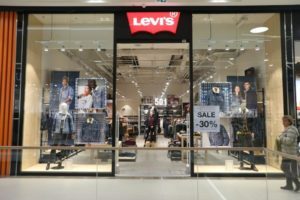 For more than a century Levi’s jeans have been a true classic which dictates trends when it comes to casual wear style and now it has opened a new store in Novi Sad. On the area of 140 sqm the true rebels can find a wide range of everlasting classics. Legendary Levi’s jeans and the trucker jacket are just some of the absolute must-have items from the latest FW collection. And Levi’s has a special treat for you – two special collections from Levi’s x Justin Timberlake and Levi’s x Mickey Mouse campaigns. 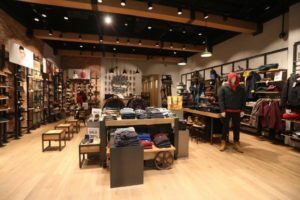 The most famous American footwear brand TIMBERLAND, the creator of the legendary yellow boots, has presented the latest generation of interior designs as well as the latest KIRI UP models for ladies and the CITYROAM for men on 115 sqm. The store will also offer a birthday collection of famous yellow boots on the occasion of the 45 year anniversary. 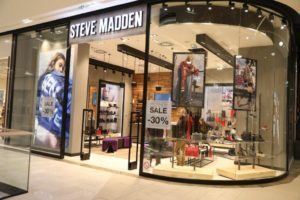 The footwear store of the ultra-popular US brand STEVE MADDEN, which extends on 100 sqm, brought this brand to Novi Sad thanks to the general distributor FASHION COMPANY. This brand takes the second place when it comes to the sales of footwear, right behind the famous brand NIKE in the region of the Atlantic. The store offers a wide range of trendy, chic feminine shoes and boots inspired by the New York style. 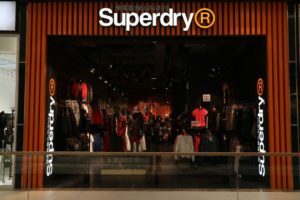 Recognized around the world, the British brand SUPERDRY that features authentic antique washings, unique vintage details, handmade graphics and a customized versatile style, has presented its offer on 170 sqm in Novi Sad, in the PROMENADA Shopping Mall. The items with a Superdry signature logo are worn by the biggest trendsetters from the movie, fashion and music industry. 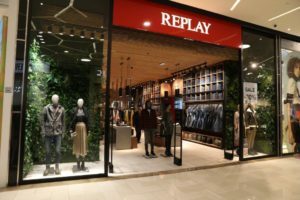 The Italian fashion brand REPLAY, which has been a synonym for quality and innovation for over three decades, also recognized as a trendsetter in the world of jeans, has presented its male and female collection on 160 sqm in Novi Sad. The FW collection introduces urban clothing items including footwear and fashionable accessories. The concept and design of the store are inspired by the global image of this brand and are strongly focused on emphasizing the natural elements and its emotional spirit. The US fashion brand GUESS, which started a sexual revolution in the jeans world in the 1980s and continues to dominate the female fashion scene, has offered its new creations on 250 sqm featuring the New Year’s collection. The assortment presents the items following the latest trends and contemporary fashion designs. 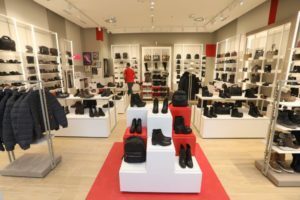 The world famous manufacturer of footwear and fashion accessories with a fascinating retail network, the Italian-Czech brand BATA, offers a male and female collection on the first floor of the PROMENADA center, in a store of over a 100 sqm. It Is the world’s biggest footwear company when It comes to the sales volume, as evidenced by the fact that BATA sells over a million pairs of shoes per day. Fashion Company doesn’t stop here! In the upcoming days, we can expect the opening of its eleventh store in the PROMENADA Shopping Center. It is the Italian premium brand DIESEL that provokes the planet with its bold creations but also with unforgettable advertising campaigns. In a store that extends on 120 sqm, DIESEL will present its holiday collection which will uncompromisingly set the 2019 trends.